. Published on February 2, 2015 . This is a 21-day course that will teach you to build stronger relationships by tapping into your natural strengths as an introvert. For the next 24 hours you can join the course for $9.99 (afterward the price is $29.99). 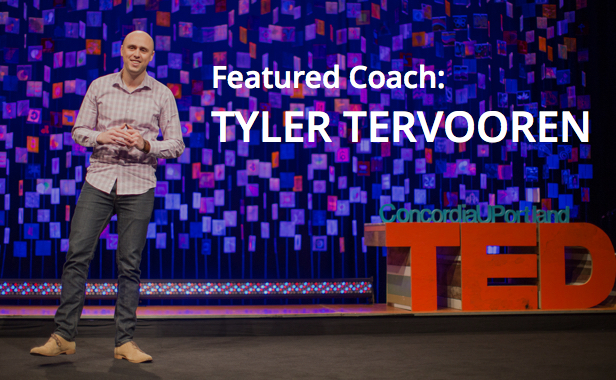 Your coach Tyler Tervooren will show you how to perfect the art of conversation to build relationships that become lasting friendships, career building opportunities, and business contacts. Tyler is the founder of Riskology.co, where he teaches risk-taking, human psychology, and the principles behind success. As a founder, I’ve had to overcome a lot of fears. The hardest was overcoming introversion in order to learn how to talk to people.I’m a programmer at heart. My comfort zone is in front of my computer screen, typing code. That’s the environment in which companies are first born, but it’s not where companies are made. They’re made when you successfully pitch to investors, recruit people for your team, run effective meetings, meet other founders who share wisdom and support, and most importantly, meet the people and businesses who use your product every day.The ability to build connections with people is one of the most vital skills to succeeding in business. Good relationships are also the strongest predictor of happiness in your personal life.I used to think that building connections was a talent that you’re born with or without. But I was wrong. It’s a skill just like any other. You can build the skill with the right mindset and game plan. I’m excited today to share a 21-day action-oriented course to help you build that skill. And of course, I love introducing smart coaches. Through Tyler’s work at Riskology, he has become an expert at training the psychology of smart risk taking. That’s exactly what building relationships comes down to: taking a series of smart risks. “I have some networking advice for you: Don’t do it. At least not the way you’ve been told. Come home feeling like a sleazeball and wanting to give up. Years later after learning about introversion and the science of personality I realized it wasn’t me. It wasn’t my fault I wasn’t getting results. It was because I was following advice that was never going to work for me. There’s no lack of advice explaining “how to network” (a quick Google search returns 1.8 billion results! )—how to rack up piles of new connections and collect business cards like they’re going out of style. Gross. That’s not what I wanted. And if you’re an introvert like me, it’s not what you want, either. What you and I want is a simple system we can follow that will help us build better connections, not more of them. I spent years putting my system together, and today I’m tremendously proud of the people who surround me, prop me up, and help me be my very best self. Any success I’ve had in life or at work, I owe to them. But it took me years to build that. Join Tyler’s course today to start building better relationships. It’s $9.99 for the next 24 hours ($29.99 normally). Start an engaging conversation with anyone, even if you don’t know them. Build an introvert-friendly social calendar to foster relationships and avoid social burnout. Pick the best events to attend that will lead to deep connections. Rock a social event without exhausting yourself. Make a lasting impression on anyone in your very first meeting. Follow up consistently with people you meet to guarantee a valuable, new relationship. Schedule a face-to-face meeting with a busy person, even if they don’t know you. Script for writing emails to important and busy people that will get their attention even if they don’t know you. Smart checklist to judge the quality of a social event so you never waste your time. Calendar for following up with new contacts so you can strengthen relationships over time. Strategy for arranging face-to-face meetings with busy people who can help you make great strides in your career. Checklist for throwing an awesome event that will make you a valuable connector for your friends and colleagues.